A simple test can inform if you are consuming adequate omega-3s to prevent heart disease. In fact, preliminary evidence shows this test to be more predictive than markers like C-reactive protein, homocysteine or a cholesterol panel. Today we speak with researcher Dr. Bill Harris on the Omega-3 Index test. Dr. Michael Ruscio, DC: Hey everyone. Welcome to Dr. Ruscio Radio. This is Dr. Ruscio. Today I’m here with Dr. Bill Harris, and we are going to be talking about a paper he recently wrote and probably more, but that’ll be our springboard in. The paper was entitled, The Omega Three Index, A New Risk Factor for Death from Coronary Heart Disease. Obviously, that means we’ll be talking about fish oil, omega-3’s and their relationship to heart disease. So Bill, welcome to the show. Dr. Bill Harris: Thank you. Great to be on. What is the Omega 3 Index? How does this test perform over other tests? What is the protective effect of Omega 3s? Where to get the O3 Index test? Can you have too much Omega 3? Get help with preventing cardiovascular disease. DrMR: Great to have you here. I thought this was one of the better papers I’ve read on fish oil as it pertains to heart disease in quite some time, mainly because you boil everything down to what is an emerging test that may help a clinician be able to tell a patient, “Hey, you’re not eating enough fish or you’re not supplementing with enough fish oil, and lets up your intake until we get to X level,” and it seems that, that X level is somewhat well supported. Some of the support is a bit inferential, but it seems to be not bad, so I wanted to expand upon that, but before we go there, can you tell people just a little bit about your background? DrBH: Sure. I have a Ph.D. in nutrition from the University of Minnesota. I then did a postdoctoral fellowship at the Oregon Health Sciences University in Portland, Oregon. Now that’s where I got first exposed to omega-3’s in 1979 about, and did some research, or most of my academic career was looking at the effects of fish oils on plasma lipids and lipoprotein metabolism, had three NIH grants to study that, virtually all in humans, very little, very few papers on animals, one I can think of. I’ve got about 300 papers now, so they mostly all talk about humans, that’s the most important part to me. I’ve been, I was a professor at the University of Kansas Medical School for 11 years, then I went across the state lines, first to Missouri School of Medicine in Kansas City, so I spent 22 years in Kansas City, and then about 12 years ago moved to the University of South Dakota in Sioux Falls. I founded a laboratory while I’ve been up here, and so that’s kind of absorbed my work now. DrMR: Great, and so obviously a pretty wide breadth of research as it pertains to fish oil and human health. The thing that really excited me about your paper was this potential of having a fairly easy lab marker, and I guess most importantly a validated lab marker in humans that can predict the risk of a coronary episode. Can you tell people a little bit about the research that you’re basing the validity of your index on, and just for the audience, you’ve heard me make the criticism before that a lab can put a test out there, and I mean, within reason, without saying things that are overtly crazy, labs can get away with kind of a lot. There can be tests that the consumer thinks have a large impact on predicting their health or steering health care decisions, but there are definitely tests in existence where they haven’t really been validated to show us much in the way of what you’re at risk for or what treatments you may respond to. So it is important that we validate markers and measures to tie them back to an action or some type of predictive value, and in your paper, and I’ll put the image in the transcript for this post in there, but there were I believe eight studies of different sorts showing that a blood level of omega-3s correlated with different risk stratification for heart disease. Some of it at least appeared to be a direct correlation, some of it was inferential. So can you take people through what the evidence shows to validate this marker as predictive for heart disease? Assess the validity of omega-3 intake and the “Omega-3 Index” to predict coronary heart disease risk. Clinical and laboratory experiments, combined with a non-systematic review of the literature. “An Omega-3 Index of ≥ 8% was associated with the greatest cardio-protection, whereas an index of ≤ 4% was associated with the least.” Note: here they are citing the various trials supporting the Index. The Omega-3 Index had a high correlation with the more traditional measure of whole blood omega-3s. The Omega-3 Index may be better than the traditional whole blood omega-3 testing for several reasons. One study found 1 gram per day of fish oil as adequate; more benefit occurred at 2 grams per day, but the additional benefit was not significant. The authors speculate that the Omega-3 Index may be a more accurate predictor than C-reactive protein. They continue that it might be more predictive than a number of other markers, including cholesterol and homocysteine for predicting sudden cardiac death. They also cite there is no risk for blood thinning when using fish oil. The Omega-3 Index may predict coronary heart disease risk and guide the dietary intake of fish and supplementation of fish oil to reduce risk. DrBH: Let me just start with explaining what the Omega-3 Index is. You’re right, it is a blood test. It’s a test that can be collected on filter paper with just a drop of blood, a fingerstick. We’re just measuring one thing, not 20 different markers, just one thing from a dried blood sample. You collect the sample in the clinic or you can even collect it at home and just mail it to the laboratory where we analyze the blood for, with using gas chromatography, which is a fairly standard laboratory tool. What we report is, again what we call the Omega-3 Index and that is the amount of omega-3 EPA and DHA, so it’s the two major omega-3 fatty acids that are found in fish oils. So it’s the sum of those two fatty acids as a percent of the total fatty acids in a red blood cell membrane. So we really like to focus on the, a cell membrane because the omega-3s really do all their work in membranes and the easiest membrane to get, the easiest cell to get ahold of is of course one that’s in the blood, and red blood cells constitute virtually half of the volume of the blood. So we measure the red cell EPA plus DHA and we express that as a percent and as you mentioned, 8% is the target we have settled on as a, at least for western cultures. Where it looks like the evidence if you’re over that 8%, you’re in, you’re doing good things for your heart, you’re reducing your risk for fatal coronary disease. Most Americans are in the 5%, maybe 6%, down to 4% area. A population that we look at as kind of a reference for health is actually the Japanese. So the Japanese, their average Omega-3 Index is up over 8%. It’s around 9% or 10%. It’s because they eat fish almost every day. They’ve done it for their whole life. 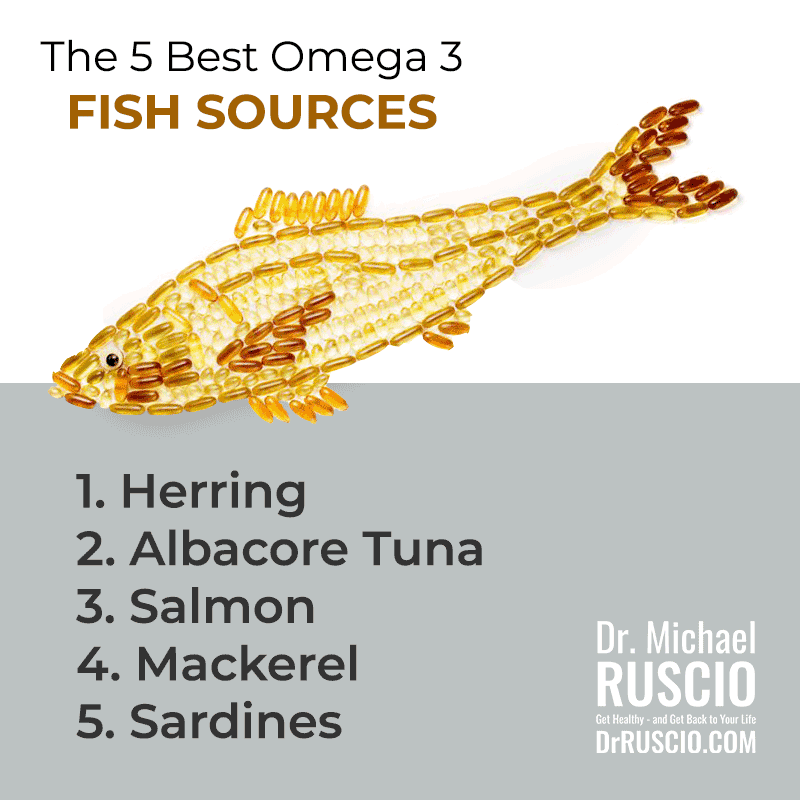 Which is why their omega-3 levels or tissues are saturated with the omega-3. So what it is about the Japanese, they have very little coronary heart disease. Much, much lower risks than we do in the United States, so they don’t have fatal heart attacks very often. They will have strokes from high blood pressure because they eat a lot of salt. So blood pressure is higher in Japan, they’ll have strokes, but overall the Japanese still live about four years longer than we do in America. We’re like, U.S., we’re like 32nd in the world for total longevity. The Japanese are almost number one. This is when I think of the signs of having a high omega-3, it allows you to basically live longer and we’ll get into that a little bit later. But you asked me what’s the evidence that this 8%, where’d that come from? You’re right, in that original paper we did look at the existing literature that we could find in published studies and either reported their omega-3 level or we could infer their omega-3 level from studies we had done. We looked at the group that had the greatest protection against fatal heart disease, and we took the average of the omega-3 levels that were associated with those people and it was around 8%. So that’s where we came up with 8% as a target level and that paper was published 14 years ago now. Since that time we’ve done lots of other studies that have confirmed that 8% makes a lot of sense. It’s not like 7% you have no protection at all, you know, like everything in medicine, it’s a continuum of risk, but if we have to pick a number that people want to aim for, we say that 8% is a good one, but 7%’s still better than 4%, for sure. So I’ll leave it at that, we’ll probably dig into some of the evidence more as we talk further. DrMR: Yes, let’s do that. So one of the questions that I think comes up is, how this test may be better than a traditional whole blood omega-3? Firstly you show in your paper, or you cite evidence that supports that your measure tightly correlates with a more traditionalist know as whole blood omega-3, but there were a few reasons why the index may be a more accurate marker. Do you want to expand on any of those reasons? DrBH: Yeah great question. Right, we have done studies asking, looking at the comparisons of say a plasma omega-3 level or because, you know omega-3s are in plasma, they’re in red blood cells since they’re in both, they’re obviously in blood, whole blood as both of those. So we looked at variability that day to day variation in omega-3 levels in plasma, and in the same people, we looked at the day to day variability in red blood cells. We found that, if you follow people out over several weeks, and you’ve done a weekly blood test and they haven’t changed their diet or done any of that, it’s just living life normally, the plasma level varied about four times as much as the red blood cell level varied. So the red cell level is a much more stable long-term, steady marker that’s not influenced by day to day fluctuations in fish intake or maybe you know you go out once a month and you have a big salmon dinner. That will change your plasma omega-3 levels the next day but it won’t change your red cell because the red cell is, for those of your listeners who are familiar with the hemoglobin A1C tests, and I assume they are, Michael is that true? DrMR: Yeah, and just for the audience, I mean the hemoglobin A1C is an average of a few months of your blood sugar in case you’re not familiar. DrBH: Right. Exactly. It’s the same idea, exactly the same idea, the Omega-3 Index is an average of several months of your omega-3 status and it’s less noisy than what you might see in plasma. So we prefer it for that reason, it gives you a long-term look instead of a, perhaps a, just again, ate a big fish meal and that bumped your omega-3 level, you happened to go to the doctor the next day, it looks like you’re going to have high levels of omega-3 when really you don’t. DrMR: Right and sure, that’s of course going to be important because we want to see what a longer-term view on your arrogate fish intake has been rather than, let’s say you did good for a week and then you tested yourself and all of a sudden you look great but that may not be representative of what you’re doing on a longer-term basis. DrBH: Exactly so that’s why we like the red blood cell. I mean, for research studies I don’t have a big problem with people who want to use plasma levels averaged across a large population they still tell you something about your omega-3 status but they’re not as good, certainly for an individual patient in a clinical setting as the red blood cell marker. DrMR: To help people better understand what the protective effect can be, because we’re making kind of a broad statement which is, obtaining an omega-3 index of 8% or higher is protective, how protective is it? What is the effect size, this is known as, because sometimes what you see and I’ve made this criticism with probiotic research for weight loss, you’ll see some health blogger who probably just doesn’t understand the importance of effect size write an article about how probiotics can lead to weight loss but when you look at how much weight was actually lost, you’re looking at maybe one to two pounds in an obese population which isn’t really an effect size that’s enough to write home about. So what is the effect size looking like here? DrBH: Yeah and that’s a great question, I mean that is rarely asked and I’m glad you’re asking it. I’m not sure I’m going to have the answer for you at the tip of my tongue but we commonly express the effect of an agent, whatever it is on risk for disease, whatever that is, as a relative risk reduction, right? So is it 25%, 30% lower risk for disease A if you have a high omega-3 than if you have a low omega-3. But to your point, a 50% reduction in risk can be, you know your risk goes from one in a million to one half in a million. Which is like nothing, right, but this is 50%. In the omega-3 world, I’m actually struggling to come up with actually what those numbers would be, I have to, I do know that we’ve done a big med analysis, so of 10 different studies, looking at risk for fatal coronary disease, comparing people who have an index, an omega index of 4% to those that have an index of 8%. So just looking at those kinds of extremes. There is a 35% reduction in risk for fatal disease in the people with the 8%, which is great, that’s good, I mean it’s not crazy high, it’s not unbelievably high, but I actually would have to look myself and send you some data so you can put it in show notes here. I’d love to know, I mean, I’ve never been asked that question. ASCEND, the absolute risk reduction was 0.6% and the relative risk reduction was 18% (applies to those who are already on statin/cholesterol lowering drugs). This 0.6% reduction is a similar effect as seen from taking statin drugs. REDUCE-IT trial, early reports are a 25% relative risk reduction. DrMR: Yeah and that would be great. I understand this is for the audience this is a challenging question because the measures that are used to predict risk aren’t always the same and it can be challenging to take something like what’s known as relative risk and translate that into a percentage of risk or percentage of improvement. So it’s a hard question for me to ask, a much harder question for Bill to answer, but yes Bill, if you want to ruminate on that and see if there are any broad strokes that you can provide with people just to help give them a sense that would be helpful. DrBH: Maybe you burp a little fish taste from taking a pill right? There’s no risk, no health risk associated. DrMR: Hey, everyone. I’d like to thank two companies that can improve your health and have made this podcast possible. Firstly, Platinum LED who sells perhaps the best red light therapy units on the market. Now, red light therapy can improve your health by stimulating mitochondria so you actually help to stimulate cellular energy, and the research here, while preliminary, has shown encouraging results for an array of applications, including thyroid, one very exciting study there; skin health; anti-aging; joint pain; and body composition. DrMR: You did make one other, I guess it would be speculation or suggestion in your paper that the omega 3 index may be a more accurate predictor of heart disease than c-reactive protein, which for the audience, c-reactive protein is the most popular inflammatory marker that’s out there. It’s not the only one but certainly, it’s received quite a bit of attention as being an independent risk factor for heart disease. And a little bit about how the omega 3 index may be better than the c-reactive protein. DrBH: Yeah, we’re again looking at the other published data to come up with that conclusion and it was based on what’s called the physician’s health study which is a large group of physicians nationwide that were recruited into a study in the 1980s. Blood levels of a whole bunch of different risk factors, including CPRP and omega 3 were measured in these people. Then they followed this group of people out to see what kind of diseases these men had after you get blood levels when they’re healthy and then you wait for 5, 10, 15, 20 years and see who dies of what disease. Then you look back to their blood and see what would’ve predicted their risk for dying. That’s the general idea of these studies. When they did that in the physician’s health study they found that the omega 3 level was actually more predictive than cholesterol, LDL cholesterol, HDL cholesterol, and CRP as well. More recently we’ve actually done our own study, this again was inferred from another study, we’ve published just this year I think in the Framingham cohort. You folks know what the Framingham cohort is? DrMR: The people may have heard of it, but you may want to just give them a synopsis. DrBH: Framingham is a suburb of Boston, it’s a town where, in 1948, the NIH established it’s first big epidemiologic study to find out, meaning a study of a population, to try and find out the causes of heart disease and heart attacks. In the 1940s men were dropping dead of heart attacks at 50 years old very commonly. Nobody knew why, nobody knew what the concept of a risk factor was not even known at that time. So the government set up the study and they recruited a bunch of people in this one suburb of Boston in Framingham. They measured everything they could in these folks and then they just followed them over the years and see who gets what disease. As a result of Framingham, we learned that smoking is a risk factor for heart disease. We learned that high blood pressure is a risk factor of heart disease and we learned that cholesterol is a risk factor for heart disease, we didn’t know that. So these are all modifiable things. Things that people can change. Which has led of course to medical recommendations to lower blood pressure, lower cholesterol, stop smoking, etc. But it was all based on the Framingham study. So it’s really the most famous epidemiologic population study of heart disease in the world. So we were able to get blood samples from the Framingham group, actually, it wasn’t the original guys because most of them are dead. We got blood samples from what’s called the offspring study, which is another cohort, really the kids mostly of the original group. So their blood was drawn in the 1990s. We measured the omega 3 levels in that group. Then we followed them over six or seven years between the average age of 65 and maybe 72 or 73. That would be the kind of age group we looked at. We found that the omega 3 index was a strong predictor of risk for death or for death from any cause. It didn’t mean just dead. Also, it was a risk factor for cardiovascular disease, meaning that people who had the highest omega 3 levels had the lowest risk for heart disease and for dying within that window of our study. We also asked the same question about blood cholesterol because we measured cholesterol levels at the same time we measured the omega 3 levels. We found out that cholesterol level did not predict risk for cardiovascular disease or death from any cause. This is really the first time we’ve proven that the omega 3 level is more meaningful as a predictor of cardiac outcomes than cholesterol is. So that was something I kind of assumed for 15 years. We were never actually able to test it until recently. DrMR: Now one thing, for the audience here, that’s important when we look at these large observational studies, it’s important that we try to weed out as many variables that could confound the association that we’re seeing. So this is also a question for you Bill. It could be that people who are more health conscious are eating more fish but they’re also smoking less, drinking less, exercising more. If we don’t, what’s called adjust, for those other variables then what we may be seeing is that the people who eat more fish, yes they have less heart disease but it could be because they’re drinking less, smoking less, exercising more. Now I’m assuming that you adjusted for those variables but can you speak a little bit to adjustment? DrBH: Yes, absolutely. I’m really glad you brought that point up because it’s critical. So you do what you can to adjust statistically. So we adjusted for blood pressure, we adjusted for having diabetes, we adjusted for having a heart disease history in your family. Of course, we adjusted for body weight and then for about any other risk factor we could think of. So meaning we put into the statistical equation these other factors. What that’s supposed to do, what that’s designed to do, is to say well regardless of whether they’re smokers or not, regardless of whether they are overweight or not, regardless of whether they have high blood pressure or not. The relationship between omega 3 and death, in this case, is still there. So it’s not that people who have high omega 3 have lower blood pressure and it’s the lower blood pressure that causes the benefit. So when you adjust statistically, now you can never do it perfectly, it’s one of the challenges of epidemiologic research. As opposed to a randomized trial where you actually put people randomly into two groups and then you don’t have to mess with any of that stuff. It’s already randomly separated. So it’s one of the weaknesses of prospective observational studies is that you can’t perfectly adjust for everything. But the point you’re going for is exactly right. Higher omega 3 levels could mean that this is just a healthier lifestyle person. We do what we can to adjust, but it’s always a little bit of a caveat. DrMR: Sure. I’m assuming that you did, but more so for the audience as we’re trying to cultivate the most intelligent audience, we can who ask the most important questions. So with nothing being misled because unfortunately what can happen sometimes is a doctor or guru or an expert, what have you, they have their mind made up and so they look for data that reinforces their opinion. It’s much harder to chariot big data when you adhere to practices like adjusting for confounding variables. Just as a quick side example when I presented this year at the intestinal health symposium I talked about the association between sun exposure and skin cancer. One very important thing to control for is there does seem to be a higher predilection of people who spend more time in the sun being more prone to drinking and smoking. So that’s where some of the debate regarding sun comes in is that if we’re not controlling for those data we can see an association that may more so be attributed to the poor lifestyle habits that accompany higher levels of sun exposure. But because that data exists where the nuance of how lifestyle impacts the sun to skin cancer relationship people can pick from whatever side they want. Then you have people arguing opposing ends of the position there and it confuses people. So that’s why I try to offer these kinds of pearls to help cut through the truth or as close to the truth as we can in an argument when there may be some confounding variables. DrBH: Yeah that’s a great example. I like that example. I may use that. DrMR: Yeah that’s the Jersey Shore example I guess we can define that as the rule of Jersey Shore. What do you feel to be a good intake for people to strive for? I ask this if there are people who perhaps don’t have ready access to testing or a doctor or they’re just wondering, okay I’ve got a lot going on I can’t do the test just yet but what easy step can I take in terms of trying to target my intake. What do you feel to be a reasonable intake? Because I think it may be less than some super health conscious people have been led to believe. Probably more than people who don’t care about their diet at all. But where do you feel this line is? DrBH: It’s a great question. I mean there are recommendations from a variety of bodies for how much omega 3, EPA and DHA should be consumed. Varying between 250 milligrams a day to maybe 1,000 milligrams, a gram a day. In people that are being treated for very high blood triglyceride levels then you’re out of the nutritional world, you’re into four grams a day, which is hard to get by diet. Very hard to get. So that’s the general idea of how much. We have a paper under review right now that asks exactly that question of the people that are submitting blood samples to us for analysis for the omega 3 index. DrMR: I’m sorry, but one quick question there, would you say if someone is, I don’t expect you to give an exhaustive list, but is it fair to say that most oily fish are going to be sufficient for the amount of omega 3 that they provide? DrBH: Yeah. I think that’s fair to say. It’s not because there’s something special about oily fish and their omega 3, it’s just that the omega 3s are oils. They are lipids. They’re triglycerides. The percent of omega 3 in fish doesn’t vary a whole lot in terms of the amount of omega 3 per gram of fat. It’s just the amount of fat varies. So you get a fish like salmon that’s got a lot of oil in it, it’s going to have a lot of omega 3. Whereas a fish like tilapia has almost no fat or oil in it, it’s a very dry fish. It can’t have any omega 3s it hasn’t got any fat. So generally speaking the things we think of as oily fish are typically the kind of fish that you don’t fry. I mean most people don’t fry salmon. They don’t fry sardines. DrMR: Right. If people wanted to do a quick Google search for oily fish if they’re not sure, this way you can operate underneath that guiding principle. DrBH: Oh yeah there’re plenty of places. Maybe I’ll send you the notes for some resources. DrMR: Sure, that’d be great. We’ll include a list of some of the top fish for omega 3 also. DrBH: So what we found was that the people who are most likely to have an Omega-3 Index over 8% reported eating that kind of fish three times a week. Three or more times a week. And they’ve reported taking a supplement. So it somehow took both of those together. I mean, there were some people that were eating probably five meals of fish a week, and that alone would have done it. We had very few of those, but the bulk of the people we found that had an Omega-3 Index of 8% or above, again, their characteristics were they repeated three fish meals a week and they ate fish and they took a supplement. DrMR: And with a supplement, is one gram per day, I believe you’re paper cites one to two grams per day is sufficient. Is that correct? 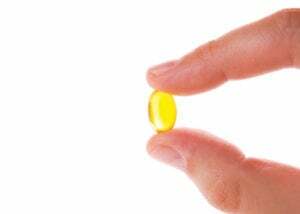 DrBH: One to two grams of EPA, DHA from a supplement. But I am sure your group, but for the one person out there who doesn’t know, a 1000 milligrams of fish oil on the label does not mean 1000 milligrams of omega-3, right? It’s a thousand milligrams of the oil and then you have to look on the side panel to see how much EPA and DHA is actually in that capsule. Because it’s typically the cheapest capsules you’ll have one one thousand milligram pill that has 300 milligram, 30 percent of the pills is the EPA and DHA. And that’s what you want to look at. How much actual EPA and DHA you can get in the pill. DrBH: So for that you probably need to take three of those things to get a rounded gram a day. DrMR: Do you find that the cheaper fish oils typically cut that corner? And is it fair to say that price and concentration of EPA and DHA directly correlate? Or is that not a fair … ? DrBH: Yeah. No. That’s very fair. DrMR: So then for the audience, you know that I don’t like to spend any money that I don’t need to, nor advise you to do so, but I do think there’s a trend with supplements generally speaking, as long as you’re working with a reputable brand, that as price goes up, quality goes up. DrMR: Now, there’s I think a ceiling there, we also want to be aware of. And we don’t want to think … okay, there’s a handful of cheap fish oils for $10, and then there’s a bunch for between $30 to $50, and then there’s a couple that are like $120. So the one that’s unusually high is going to be the best. I think you’ll want to look for where the majority of the reputable brands are clocking in at, in terms of their price. And then that’s probably where you wanna go. DrBH: That’s about where you want to go. Right. And you can get, probably a typical cost for a gram of EPA and DHA, so 1000 milligrams. There might be three pills. It might be one pill, depending on the product. But a gram roughly will cost you 25 cents. DrMR: Yeah. Certainly not very expensive. So the testing, Bill. Where you and people get to testing, I’ve looked up a couple labs that offer this. I know that Quest offers this. Or unless I’m misinformed here, but Quest and another lab named Genova, and I believe you also have a lab that offers this testing. DrBH: Yeah, our lab is called OmegaQuant.com. Quest you have to order through physicians. And Genova I’m not sure, I’m not sure, but I think maybe consumers can order directly. Ours is direct-to-consumer or physicians as well. But you don’t have to have a physician’s order. DrMR: And is it a dried blood spot, like a finger prick blood spot test? DrMR: Okay, so that’s convenient. You can do it, I assume, at home. You can just have the kits mailed to you? DrBH: Right. Kits get mailed to you. You order the test online, it comes in the mail, you prick your finger. Then you have to register the kit, that’s when you actually pay. And then you mail it to the lab and it’s about 3 to 5 days after it shows up in the lab, you’ll get a report by email. But I should say, there are very few labs that do the same test. Like Quest, Genova, Nutrasource Diagnostics they all do different omega-3 status tests. We’re the ones that invented the Omega-3 Index and we do the Omega-3 Index in a certain way and I’ve done this. I’ve sent blood samples to four, five different labs. The same blood. And asked for the red blood cell omega-3 level and it came back between 4 percent and 13 percent. DrBH: So there’s no uniform methodology is the problem right now. So if you pick a lab, keep using that lab. DrMR: Right. And I’ll second that. When I looked into this, I would think, it would be fairly easy for someone who wasn’t really looking at the details to be misled into thinking that that’s what they were getting. When I looked at Lab Corp, there’s a test that sounds similar, but they actually aren’t the same. So don’t just go to your doctor and say I want to do an omega-3 blood test, ’cause there is nuance. And because you get that test doesn’t mean you’re going to get this actual index test. And that’s not to say that your doctor couldn’t do it, but you know, you have to be a little bit realistic where if you’re doctor is kind of doing you a favor, they may not have the thirty minutes it takes to dig into everything Lab Corp or Quest, or they’re staff nurse or medical assistant may not have the knowledge of what you’re looking for, and you may just get your standard out of the box omega-3 test. DrBH: Yeah. We’ve actually gone to the FDA with our tests and the FDA has allowed us to market our tests. I don’t think anybody else has done this. They allowed us to market the tests direct-to-consumer. So we are now able to do that. No other lab that offers a direct-to-consumer test has done that, as far as I know. DrMR: Now, Bill, for some of our audience who might be super into their nutrition and, I think sometimes we’re so into something that we actually do it to a fault, meaning we do something too much. So what have you seen in terms of perhaps some very, very health-conscious people who are not eating a lot of Omega-6, eating a bunch of omega-3, supplementing with a bunch of omega-3, and never really tone down the “okay, I was imbalanced, now I’m balanced and I can revert more to a balanced reflection in my diet.” And they kind of keep with the pedal to the floor in terms of their omega-3 intake. DrMR: Are there any risks there? Have you seen any problems there? DrBH: Short answer is no. Average Omega-3 Index in America, roughly let’s say five and a half percent, six percent. We have seen a fair amount of people up at 15%. And we’ve seen a few people up in the early 20s. Which is actually higher, I mean an Omega-3 Index of over 20% is higher than a bottle-nose dolphin. I mean, we studied the dolphins at Sea World. And their index is around 19%. And all they eat is fish. But we have not seen any adverse effects. The European food safety agencies have looked into this and said up to five grams a day, EPA and DHA. Five grams, which is above the actual pharmaceutical dose, they consider safe. No adverse effects. And particularly bleeding is the thing people worry about. Or at least people that have heard about this. And they think their blood’s gonna get too thin, they’re gonna bleed out. And this is just not true. We’ve shown time and again that even if you’re on Coumadin or other blood thinners or aspirin, you do not increase your risk for bleeding by taking omega-3. DrMR: Yes. I’m so glad that you said that. That was the one point that I wanted to make sure to get in before we ended. And I think that’s significant because some people will be told to stop taking fish oil and I think this probably, again, comes from a good place where their doctor is operating. And I’ve heard this before, that fish oils do have a blood thinning effect, but it’s not clinically significant. Meaning it’s not gonna put you at any type of risk. So I’m really glad that you said that. And so for the audience, it seems, at least according to the best available data, as I’m inferring from Bill’s research here and what he’s published in his paper … there’s actually one great quote on this where you cite three different studies. There does not seem to be any clinically significant impact on blood thinning by using fish oil. DrBH: Right. So don’t stop taking fish oil. I mean, you’re right. Surgeons will just routinely tell you, stop. DrMR: And I get it. They’re trying to cover their butts, right? DrBH: Yeah. They’re just misinformed. DrMR: And would it be the worst thing in the world if you stopped taking your fish oil for a few weeks prior to surgery? DrBH: Oh, no. It would take that long. It would take several weeks if you’re gonna try to lower your levels It takes a long time for it to wash out. DrMR: Yep. It’s not an acute reaction. So as we come to a close, Bill, is there anything else that you want to make people aware of? And then would you also please remind people of your website or where they could learn more from you. DrBH: Yeah. Well, we’ll just do that first. The website is omegaquant.com. And that’s where you can order tests. But the Omega-3 Index test on our website is about $55, I think. Sometimes they put it on sale, but that’s what I recall the basic test is. And what to leave you with? I guess I want to leave you with, look forward to November 10th. Because on November 10th, Saturday, American Heart Association is gonna be two big omega-3 randomized trials reported. One with eight thousand patients and one with like 20 thousand patients. And the one with eight thousand patients is going to be positive. It’s going to be favorable. But they gave in that study four grams a day of omega-3. It’s a big dose. But they got a statistically significant effect. And so I’ve been acutely aware of several trials that have been done the last five or ten years that did not work. Did not show a benefit. And so headlines pop up all the time saying fish oil’s a waste of money, doesn’t work, doesn’t help, and these studies that are gonna be reported at the American Heart, one of them anyway, is gonna be very positive. We already know that. The other study we don’t know the outcome. It’s a low dose study. It probably won’t work. But there will be big news about omega-3 and heart disease in the next few weeks. DrMR: It will be stirred up. Sure, sure. Okay, well good for the audience to be aware of and certainly it’s another detail that’s important, which is when we look at these nutritional intervention trials, the dose has to be adequate to show an effect. DrMR: Something to keep in mind. All right. Any other closing thoughts? DrBH: No. I just … my dream when we invented the Omega-3 Index, back in 2004, was that some day it would be as commonly used as a cholesterol test and I think we’re starting to get there. DrMR: Yeah, I mean it’s from the paper that you wrote, it’s certainly really piqued my curiosity, and it’s something I think is starting to get more attention, and hopefully this podcast and some of these new papers will continue to potentiate that. Because it’s a simple intervention that can reduce your risk, so why not? DrBH: That’s right. Simple and safe. DrMR: All right, Bill. Thank you. Thank you very much and if there’s any new news that you feel to be very impactful, feel free to shoot me a note and we’ll either update this post with an editorial or if it’s something that requires further elaboration, we’d be happy to have you back on. DrBH: Yeah. Either one. Enjoy talking with you. DrMR: All right, thanks again, Bill. DrBH: Thank you, Mike. Bye-bye. I’m curious since you mentioned that there are no adverse effects to eating more fish, what do you think about the research coming out about heavy metal toxicity in fish, and also the radiation exposure from Fukushima? Do you think these are issues we should be cautious of, or are you still not that worried about it? I took an organic acids test from Metametrics 5-6 years ago. I was eating a 1/2 can of salmon twice a week and a can of sardines twice a week. There may have been some weeks that also included fresh salmon. I also supplemented with 2 grams of epa/dha on most days. The reason I mentioned this is that it suppressed my immune system and may have caused a zinc deficiency even though I was supplementing with zinc. It does attest to the potency of the intervention. So, it is possible to over do it but the solution is easy, back off. It sounds like this interview was conducted before the Nov. 10 VITAL study was announced. Since the results appear to have been mostly disappointing, I wonder if it changes any of Dr. Harris’ testing or dietary protocols? Finally, any specific brands that may be recommended? Nordic Naturals, Barlean’s Seriously Delicious emulsified Omega-3? Or thoughts on supplements containing omega-3 byproducts (ex. EDP-EA)? For example, David LeMay on a Stem Talk Podcast (20m) mentions taking 1g/day of Specialized Pro-Resolving Lipid Mediators (SPM) .. Solutex and Omegafort’s ProResolve? Very interesting episode. Thanks! Question about EPA/DHA ratio. What is the optimal ratio? Would be helpful to know when shopping for supplement. When looking at a label for an Omega-3 supplement, do you add the listed EPA+DHA amounts to get the 1000-2000mg / day dosage mentioned in this podcast?